As a casual consumer, I go to the farmers' market or the store with my grocery list in hand, picking out the most appealing representatives to take home for my table. It doesn't occur to me that the fruits, vegetables and grains I'm packing in my basket were painstakingly developed over years, even decades, of careful breeding and maintenance. 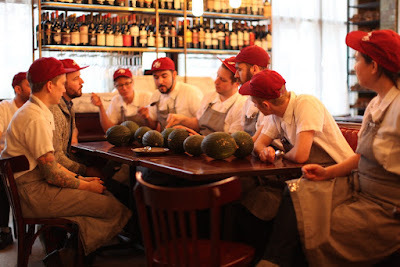 Contributor Anthony Boutard of Ayers Creek Farm is in the midst of such an endeavor with a variety of winter melon and, thirteen years after first planting them and three years after reviving his efforts, is just beginning to get results he's happy with. In 2003 we planted some storage melons, variously referred to as winter, Christmas or Valencia melons. They have a hard, dark green, corrugated rind with yellow-green to pink flesh. They are true melons and not related to the Asian wax gourd, confusingly called a winter melon as well. This sort of melon is grown in Spain where they have long been an export crop, and southern Italy where they are stored hanging under the eaves. Last February, Sarah Minnick of Lovely's 50/50 sent us a photo of these melons stylishly hanging under the eaves of a fruit stall in Naples. 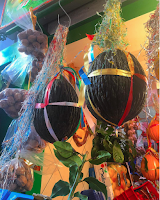 Winter melon display in Naples. It is an old and patient style of melon that has been nudged aside for no good reason. They made an early appearance in America; President Thomas Jefferson grew them in his garden. As Fearing Burr noted in The Field and Garden Vegetables of America (1865), the Green Valencia melon is "…upon the whole, if fully ripened, a more desirable melon than many summer varieties." We concur, and more welcome given the season. The flavor of the melon improves in storage just like the best of the winter squash. Akin to winter squash, think of melons as living tropical plants and refrigeration as the fastest way to kill them. Storage at room temperature with good air circulation is perfect. We sold winter melons at the Thanksgiving market that year. At the time field area and storage space on the farm were severely constrained as we were increasing our plantings of corn and beans, so the next year we dropped them from our crop list as an unnecessary distraction. Years later, people were still asking after those melons, leaving them lingering on the maybe-to-do-sometime list. The new harvest shed gave us the storage space needed and we decided to try the melons again in 2013. As we looked at the maturing melons and later as we tasted them, it was clear that over the decade the seed quality had dropped precipitously. There were many smooth or light green off types, a large number of fruits split in the field, the flavor and texture was all over the map, some verging towards a mediocre cucumber in flavor or grainy in texture, and most of the fruits rotted before Thanksgiving. Basically a stinking disaster, which is what happens when seed companies forget the crop is a living organism that needs care and maintenance of its traits; just because a fruit makes seeds does not mean they are worth planting. Fortunately a handful of fruits were as we remembered so happily. "Here is my proposition. I will deliver all of the melons I have to you gratis. I would like you and your staff to separate out the seed of the melons you would want to buy next year, each fruit's seed in a separate bag. 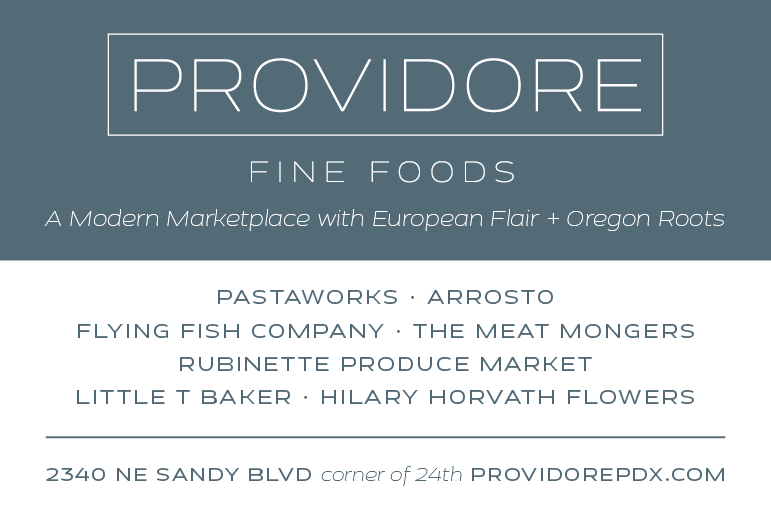 I am focusing on flavor and texture, and they don't all have to be the same, just really good. All you have to do is rinse the seeds, pat dry and put in the refrigerator; Carol and I will finish the drying here. Some of the melons may be fine, but not great enough to want to buy next year, and those seeds can be tossed. Use the flesh for a melon granita or cocktail, but leave nothing for posterity. This would be a great help and add to the story of what we end up with. If you are interested, I will drop them off next week." Sam and his staff embraced the idea of this partnership. After Christmas, we collected the seed they selected, along with tasting notes. Just six melons, less than 10% of those we delivered, met the threshold in terms of flavor. Three more lots were from the fruits we set aside for our own consumption, so we had seed from nine fruits in all after starting with 150. In the spring of 2015, we started melons using an equal number of seeds from each fruit, assuring the population in the field included progeny from all of the selected fruits, no morsel of deliciousness overlooked or underrepresented. There was a dramatic improvement in storage life, but still a bit too much noise in the flavor profile. We reprised the Ava Gene's grand giveaway last winter, with 22 fruits deemed good, and six noted as exceptional. On a snowy January 4th with two grandchildren underfoot because of a cancelled flight, we opened one of the last fruits as a diversionary treat and it was still perfect. It went into the grex as the "children's melon." This year, Sam, now at Tusk, will have to buy his melons. However, we are very grateful for the assistance the staff at Ava Gene's provided. As we noted, seed producers need to select for good traits, and against undesirable mutations or reversions to the wild type. For example, wild members of the family split open at maturity to shed their seeds, and their flesh is fibrous, bitter and often toxic. Like other cultivated plants, the melon is selected from plants where these traits are unexpressed, but they remain in the genome. 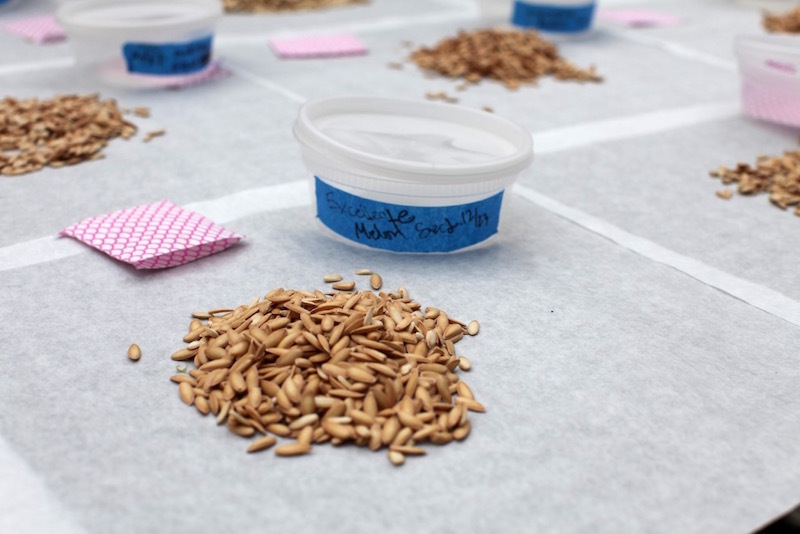 We call our breeding efforts "projects" to remind us that the work is ongoing, and roguing out poor quality fruits is essential to the seed production endeavor. As you taste the fruits bear in mind this is a work in progress. It will probably take another four years before we have all the traits close to where we want them. We could wait until we are certain of perfection, however we need to generate some cash flow in order to justify continuing the effort. If you buy a less than sublime fruit, we hope you will think of it as help in funding a worthy project. Oh yes, the project's name Ave Bruma is Latin for "behold the winter solstice," the brumal target we set. 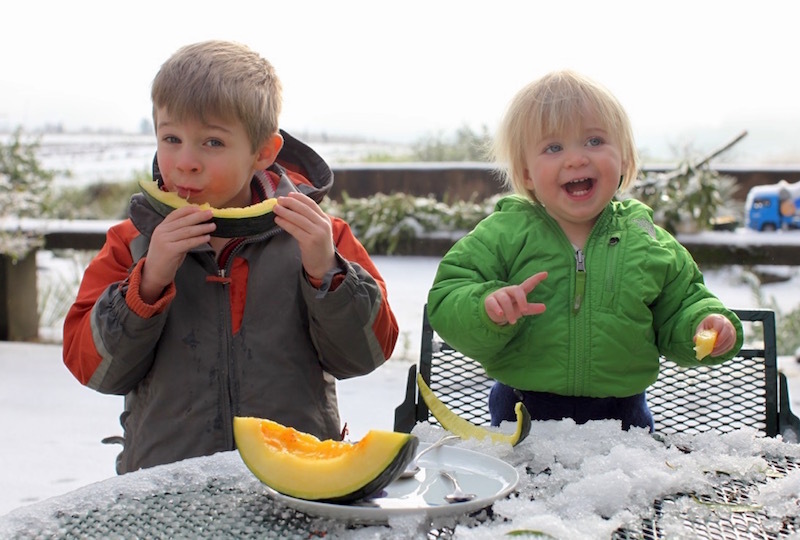 Photo of winter melons in Naples by Sarah Minnick of Lovely's Fifty Fifty. Other photos by Anthony Boutard.